Brian Sacks, national mortgage expert, with Homebridge Financial Services Inc. located in Owings Mills, Maryland. He has compiled over 30 years of mortgage experience and career closings of 5000 loans in excess of 3/4 billion. 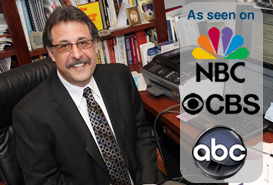 He is a recognized leader in the mortgage industry, and is the resident expert for NBC Channel 11. He has also appeared on the CBS and ABC stations. Brian has also written numerous contributing columns for The Business Journal and The Daily Record, as well as Board of Realtors publications. Brian has appeared nationally in over 42 states on the topic of mortgage financing and credit challenged buyers.